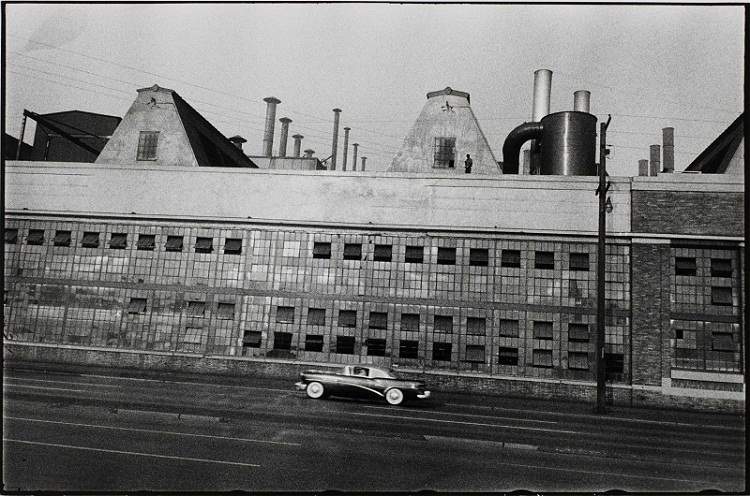 Would Robert Frank be using the latest digital Leica M if he were working today? Who knows, although I doubt it. He probably couldn’t afford one, certainly if he were unemployed and making ends meet on a Guggenheim fellowship. I suspect, were he travelling the States with Mrs. Frank today, updating his classic The Americans, he’d be driving a used Hyundai and shooting a digital point and shoot he bought second hand on Ebay. Or maybe, just maybe, he’d be using a beater M and shooting Arista Premium 400 he bought bulk from Freestyle. Frank wasn’t much concerned about his equipment. He had started out using a Rolleiflex TLR but had switched to a Leica IIIc because it was small and unobtrusive and better suited to his documentary aesthetic. Its 50mm Sonnar was seriously out of whack, offset sufficiently from the film plane that it was exposing the sides of the image around the film’s sprocket holes. This is not to accuse Leica of being cynical or disingenuous with its ad campaign for the latest M digital. Frank did use a Leica for some of the iconic photos of the twentieth century, and he continued to use them through the 1980’s, after which he dropped out of site photographically. 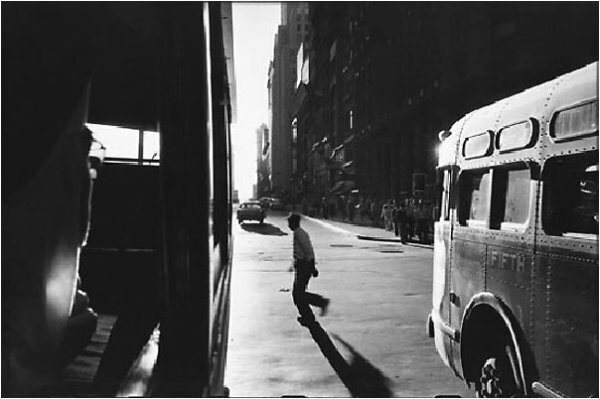 (I recall seeing him in NYC in that era, sitting with 2 Leica M’s on a table next to him.) They’ve earned the right to claim Frank’s loyalty. Frank was a visual purist. It was only the image that mattered. And I don’t mean that in the sense of what digital photographers mean by ‘image quality.’ He couldn’t care less about sharpness and resolution and bokeh and all the other foolish things current photographers mistake for quality. His best images are remarkably free of such pedestrian concerns. It was always about whether the image spoke to you. Leicas have always been expensive. They’ve always prided themselves on the quality of their optics. But there’s been a sea-change in the public’s perception of what is unique to a Leica rangefinder since the advent of the digital M. Traditionally, Leicas were prized by Frank’s generation because they were small, and quiet and discreet. Their Summicrons and Elmars and Elmarits were excellent lenses, well-made and optically sound, but they weren’t that much better than the 50’s and 60’s era offerings from Zeiss and Nikon. 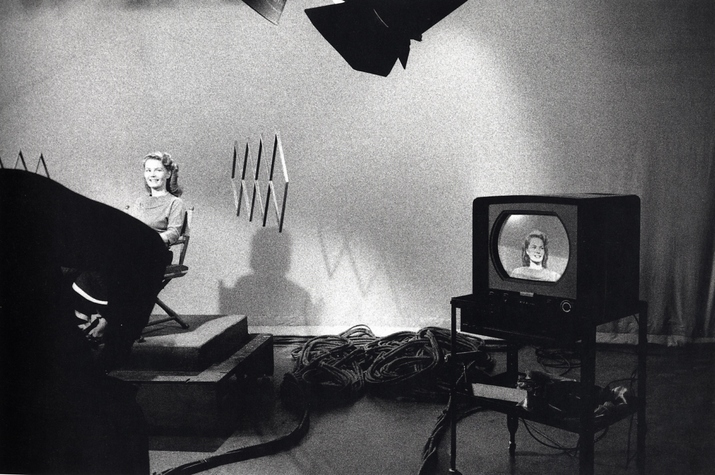 (Many of the iconic Americans photographs were taken with a Zeiss Sonnar.) What mattered was seeing the picture and getting the picture, needs that a small pocket-size camera that could scale focus met well. Now Leica stands for exclusivity and unparalleled, over the top optical excellence. Nothing wrong with that. 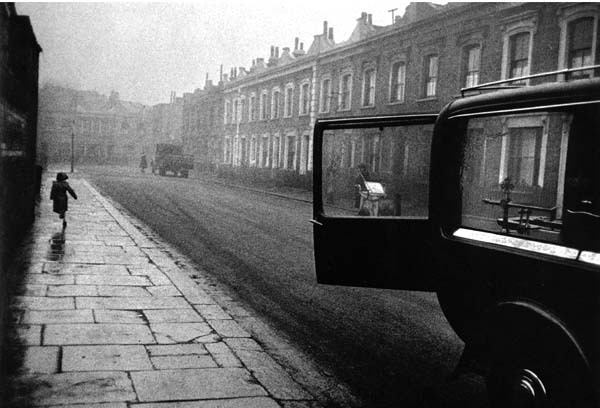 But it wasn’t why Robert Frank used a Leica, and it wouldn’t be today if he were still photographing. 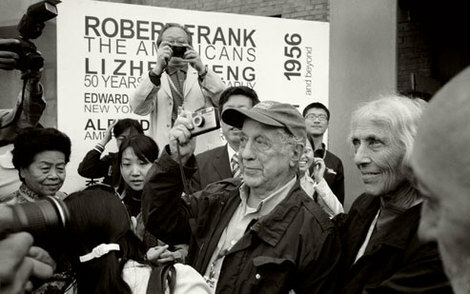 This entry was posted in Documentary Photography, Famous Leica Users, Leica Photographers and tagged Leica III, Leica M, Leica Rangefinder, robert frank on March 18, 2013 by Leicaphila.